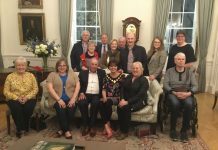 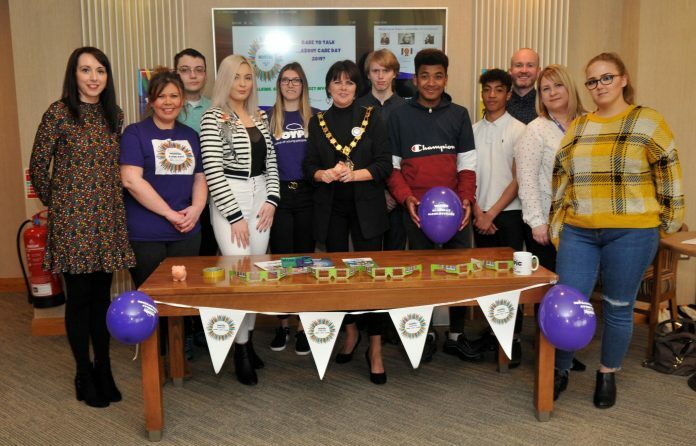 The Voypic, Voice of Young People in Care, Young Reps Group who gave a presentation to Lord Mayor, Councillor Julie Flaherty for Care Day 2019. 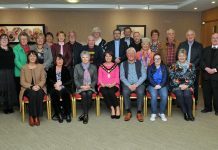 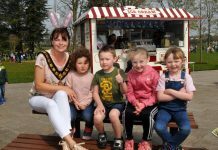 Included are Voypic staff, Briege O’Connor, Fiona Morrison, Trevor McDaid and Margaret Guy. 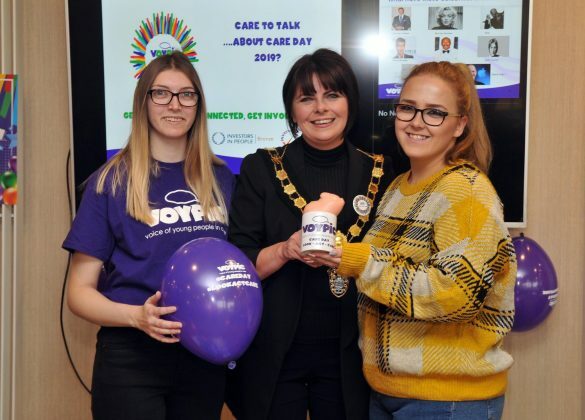 Lord Mayor of Armagh City, Banbridge and Craigavon, Councillor Julie Flaherty receives a gift from Voypic Young Reps, Chloe and Sintija for hosting the 'Care to Talk' presentation for Care Day 2019 at Craigavon Civic Centre.